When almost 4,000 bilfish are released at an international billfish tournament, it’s news! The biggest event of late was the recently concluded Los Sueños Triple Crown Signature Tournament, which ended on April 1. 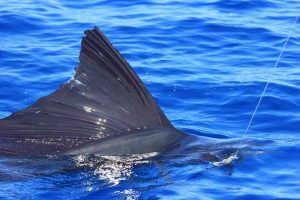 Forty-seven elite boats fished three legs, one in January, one in February and one at the very end of March, of three days each to see who could release the most sailfish and marlin. Little wonder that Costa Rica’s Central Pacific coast is called the world’s number one billfishery! 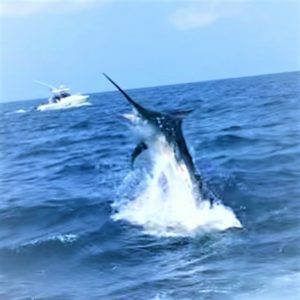 Over the nine days of fishing at Los Sueños Marina, the competing 47 boats and anglers released an astounding 3,947 billfish – 3,821 sailfish, and 126 marlin. Fish Tank was the overall winner, with 144 sailfish and six marlin releases in all. That wasn’t the most in the five years of this tournament. One year, the competing boats released almost 6,000 billfish. And in a 2016 three-day leg, 212 marlin were released. But the 2019 total of 3,947 billfish is not at all shabby. Few if any international billfish tournaments come even close. You too can fish the billfish-laden Central Pacific coast. 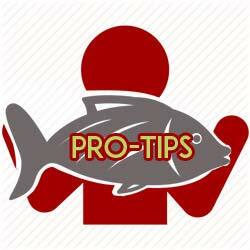 Call FishCostaRica at 1-800-407-9438 from the USA and Canada, +506 2282-7215 from everywhere else, or email us. We will hook you up with Costa Rica’s top saltwater sportfishing charter captains. 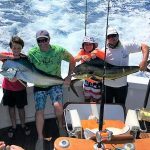 If you are already traveling to another Costa Rica vacation destination such as Tamarindo, Flamingo or Papagayo in the north, and want to fish, let us know. Ditto for the South Pacific coast, or the Caribbean coast for tarpon and snook. FishCostaRica has been putting anglers and captains together for almost 30 years, and have thousands of satisfied clients to show for it. 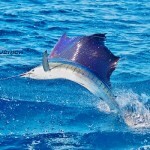 Contact us to fish with the best, or to arrange a complete Costa Rica fishing vacation. We can do everything under one umbrella, and take the hassle out of vacation planning. Make your next big trip a Costa Rica saltwater adventure.